It’s no secret that modern technology is radically changing the retail industry. Today’s digital native consumers expect to browse products from their couch and move between devices and stores without missing a beat. Digital-centric business models are also forcing retailers to reimagine the in-store experience in an increasingly connected landscape. On top of this, most retailers are dealing with outdated, siloed systems that make it difficult to glean meaningful insights from the growing volumes of customer and market data. In the past, retailers have found ways to connect systems of record, systems of engagement, and office productivity tools to meet their business needs. Today, they need to transcend these tech categories to create a unified system of intelligence designed for a digital-first world. We call this digital transformation. 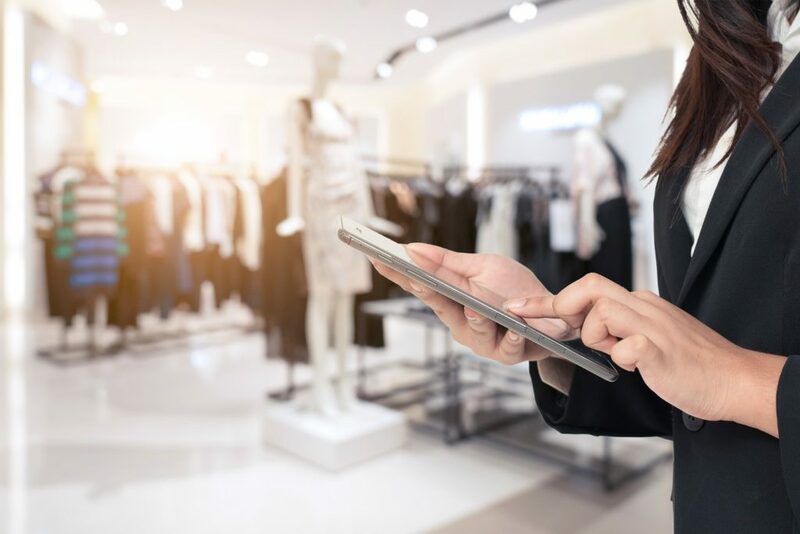 Embracing this approach helps retailers with four key priorities: engaging customers, empowering employees, optimizing operations, and transforming products. While these four objectives are not new, today there are entirely new ways to approach them. Let’s take a look at how digital transformation is creating opportunities for retailers in these areas. Digital transformation brings the silos together in a single version of the truth, making it easier to create friction-free, personalized experiences that drive higher conversion rates, larger basket size, and reduced churn. Whether they are on social, mobile, chatbot, web, or in store, a unified commerce strategy enables customers to pick up on a new channel right where they left off – checking in-store availability online, for example, or accessing their wish list and shopping cart across channels. A unified system also gives retailers a deeper understanding of customer behavior and preferences, which lays the foundation for more relevant personalization. Retailers can further set themselves apart by creating rewarding in-store experiences with virtual reality, IoT beacons, and mobile POS. Retailers like Saje Natural Wellness are delivering exceptional customer experiences through digital transformation. Saje replaced disparate systems with a unified solution, providing a consolidated source of information across their entire business. This made it possible to create an endless aisle for customers, where they can order an item from a store if it’s not available, or easily locate it at another store. The highly intuitive solution also helped the brand to focus less on time-intensive administrative processes and more on its 1:1 customer service, propelling its most successful holiday season to date. tailored product recommendations that open the door for cross-sell and upsell opportunities. US retailer Pet Supplies Plus used modern digital solutions to train new employees faster and facilitate better customer service. As their franchise was growing rapidly, decision-makers at the company knew they needed a strong technological backbone to replace their legacy systems. They chose a modern POS application that was easier to use, allowing employees to spend less time on back office tasks and more time with customers. The solution also standardized business processes across its hundreds of stores, accelerating new store setup by up to 75% and helping them move forward with their ambitious expansion. Using data as a strategic asset enables retailers to optimize operations across their entire business, from merchandising and fulfilment to in-store operations. In terms of merchandising, cross-channel analytics and intelligent forecasting enable retailers to make better decisions based on data-driven understanding of what will sell, when, where, and to whom. Predictive analytics tools help retailers maximize profitability by determining optimal pricing and promotions. When it comes to delivering products to customers, centralized fulfillment and inventory management helps retailers move products more smoothly and cost-effectively through the procurement, sales, reorder, and replenishment cycle. Digitally transformed operations are paying dividends for forward-thinking retailers. Specialty food retailer Hickory Farms opens over 500 retail stores for the holiday season to supplement its year-round wholesale and direct businesses. They were dealing with multiple legacy systems that did not scale easily during this massive spike in demand, and needed a solution that would unify their data across channels. By integrating their catalog, mail order, web, store, and wholesale operations into a single platform, Hickory Farms improved visibility across the organization and positioned themselves to drive growth across all channels. To succeed in a competitive environment, retailers and brands must continually deliver new products and services, improve processes, and find new ways to deliver value to customers. Thinking and operating like a digital business fosters a culture of innovation that transforms products and services for the better. In brick-and-mortar stores, this transformation might take the form of augmented reality, digital signs, kiosks, beacons, and mobile devices that create engaging in-store experiences. In terms of service delivery, chatbots are revolutionizing engagement by enabling customers to connect 24/7 in real time, on any channel, through a simple conversational interface. New Zealand textile, furniture, and fashion design company Citta Design needed a system that could keep up as it opened new retail stores and expanded wholesale distribution globally. They launched a cloud-based system that brings together marketing, inventory, and sales across the entire business, from social and online channels to stores and wholesale. By switching to the cloud, Citta ensured that their system is always up-to-date and scalable, so they can spend more time thinking about design and less time thinking about IT. Digital transformation requires a technology partner who understands business needs in addition to technology solutions. With best-in-class technology and deep industry expertise, Microsoft is empowering retailers to adapt and compete in an increasingly complex industry. Microsoft’s open and flexible cloud platform, enterprise-grade solutions, and partner ecosystem help you build on your existing technology investments to deliver results quickly and cost-effectively. Microsoft’s Dynamics 365 for Retail solution was built with retailers in mind. It is a true omnichannel end-to-end solution that helps you embrace digital transformation across your business. It brings together disconnected data silos with an integrated platform that can handle the full spectrum of retail operations – from merchandising to point-of-sale (POS). The solution integrates easily with existing software, so you can start using it in the areas of your business where you are ready, and implement other capabilities over time.